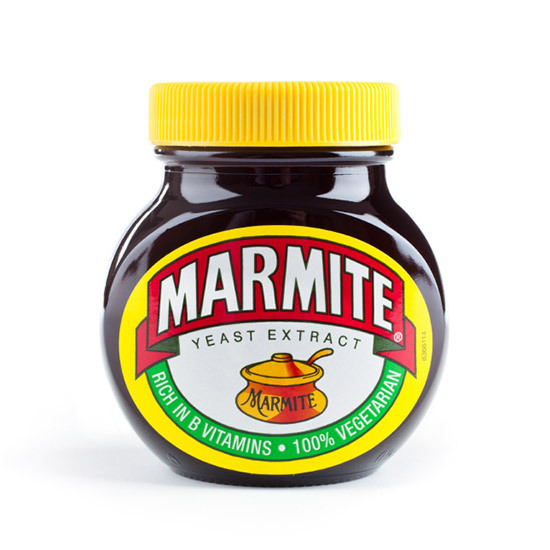 The old saying "if it tastes bad it must be good for you" has been proven yet again by science: Turns out Marmite has serious brain boosting powers and may even prevent dementia. A new study from the Journal of Psychopharmacology, published earlier this month, found that participants who ate a spoonful of tangy yeast-extract spread had higher levels of a neuron chemical associated with a healthy brain, called gamma-amino-butyric acid (GABA). GABA soothes over-active neurons; scientists have already determined that the chemical can help relieve anxiety. 28 young men and women, divided into two groups, volunteered for the study. One group was given peanut butter everyday for a month, while the other ate marmite. They then watched flickering lights in front of a computer screen while brain activity was monitored using electroencephalography scans. At the end of the trial, the people who ate the marmite had less “excitable” neurons. Researchers say that this is the first study to examine how dietary changes effect GABA levels. Next, they hope to study if eating marmite improves the condition of people who already suffer from neurological diseases. The study might just encourage more people to buy the product – perhaps to the relief of its manufacturers, who had a hand in the study. Worth noting, according to the U.S. National Library of Medicine, the study was funded by the Wellcome Trust and the Leverhulme Trust. You know the The Leverhulme Trust as Unilever, the company that manufactures Marmite. However Unilver claims it doesn’t “seek to influence the topic or study design of research when it provides grants.” But it does mean that maybe you should eat your marmite with a grain of salt.